With Christmas coming, I thought it might be helpful to share some books I think would be good to give as gifts. Book Boy Junior is my nine-year-old brother, and these are some books I think would be good for him, or any other nine-year-old boy. Click the title link to read more about the book at Booktopia. •The Stupendously Spectacular Spelling Bee by Deborah Abela. My blogging friend Jazzy reviewed this one and it sounds really good. •Danny Best: Never Wrong by Jen Storer and Mitch Vane. I’m actually not going to give him this one because he’s already reading it to review for the blog, but he’s liking it so I think that other little brothers would also like it. •The Turners: Camp Freakout by Mick Elliott. Book Boy Junior loved the first book in this series (his review is here), and this is the second. •Space Demons by Gillian Rubenstein. I read about this book on Children’s Books Daily, which is a website where I sometimes review books. 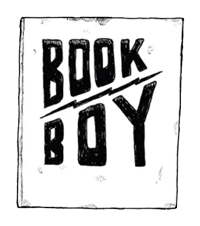 Lily, who reviewed the book, made it sound really interesting, so I think I would give it to Book Boy Junior so I could read it myself. •Adam Spencer’s Number Crunchers by Adam Spencer. If you read my review of Adam Spencer’s Big Book Of Numbers, you would know how much I like this author. This new book has lots of games and puzzles in it and I think Book Boy Junior would really like it. •The Unforgettable What’s His Name by Paul Jennings. I thought that this book would be perfect for my brother because it is funny, clever and imaginative, much like all of Paul Jennings’s other books.